The One Press Economy is designed for the budget conscious client who still wants a beautiful finished product. 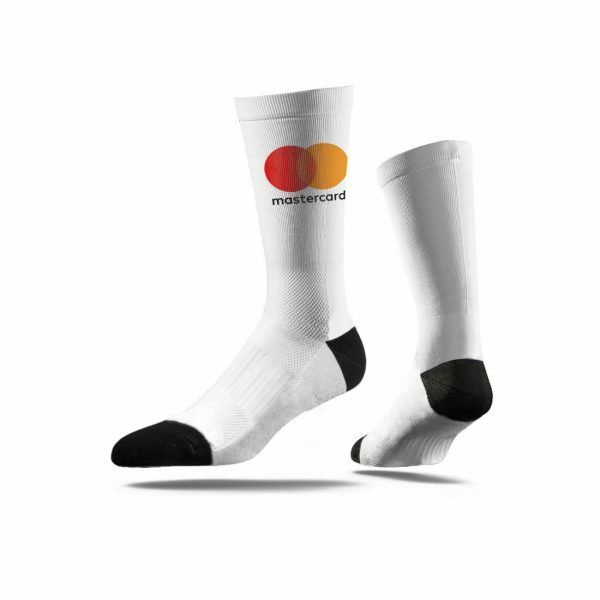 A white base with a full colour imprint on the exterior of either leg. Each sock starts as a pre-knit base of a white sock with a black heel and toe. 4 week standard lead time with a 2 week rush available with a 20% premium surcharge. 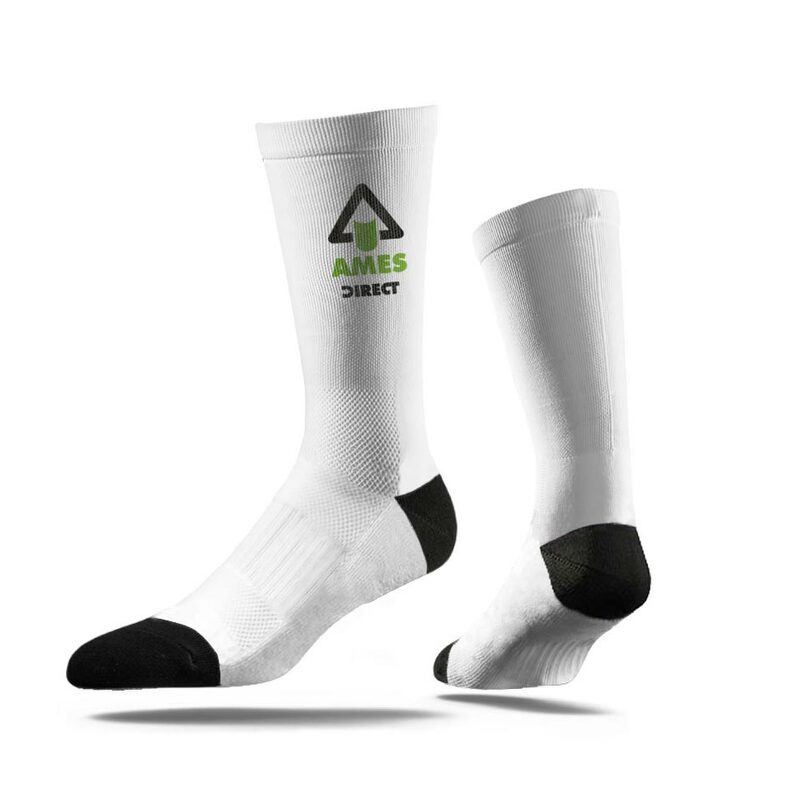 Printed with digital ink, a high quality print method specially designed for socks to maintain the design when worn and produce little to no “grin lines”. Material: Proprietary blend of Micro polyester and elastic/spandex. Price includes white socks with a black heel and toe and a full colour print on the outside of either sock.